A question we often hear from our AdSense publishers is: "How do I block ads that I don't want on my site?" So that's the topic of the latest video in our #AdSense101 series. In this video, we’ll show you how to block individual ads from showing on your site and even whole topic categories like ads about sports and fitness or politics. It’s important to remember that when you block an advertiser, it could reduce the competition on your ad auctions and impact your earnings. So be sure to use this feature wisely. Stay tuned for other #AdSense101 videos throughout the year. Is there something else you’d like to learn more about? Let us know in the comments below. Stay tuned for other #AdSense101 videos throughout the year. Is there something else you’d like to learn more about? Let us know in the comments below. Based on feedback from our publishers, we’ve replaced the previous interface with an impression chart that shows the absolute number of impressions and its distribution over time. When you’re considering blocking an ad, the impression chart can help you make a more informed decision by highlighting the potential revenue impact it may have. We'd love to hear your feedback in the comments section below and on G+ and Twitter. 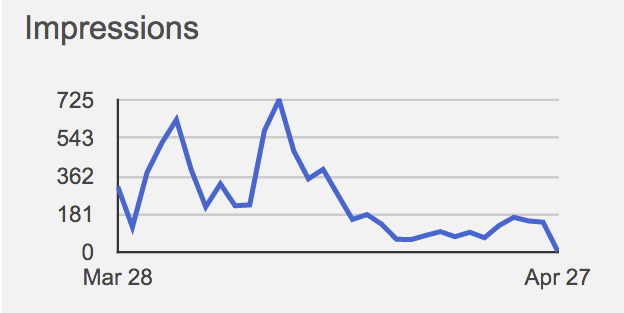 Today we’ve launched impression charts in the Ad review center. Impression charts provide you with insights into the frequency at which individual ad creatives are shown on your site.